NEW YORK, September 12, 2013 – The Latin American Network for Genocide and Mass Atrocity Prevention continues to gain global recognition, most recently at the United Nations. 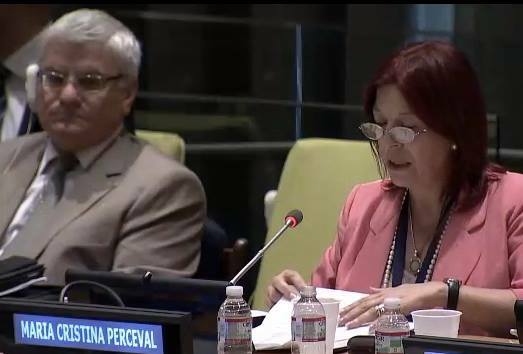 On September 11, 2013, the United Nations General Assembly convened its 5th annual informal interactive dialogue on the Responsibility to Protect on the theme of the recent UN Secretary-General’s Report, “State Responsibility and Prevention.” The report singled out the Latin American Network as an example of a “partnership for prevention” and the Network was highlighted during the UN dialogue by member states. An important step nationally and regionally towards the promotion of activities aimed at eradicating the causes of bringing about crimes to our peoples. Through the Auschwitz Institute’s Network, we focus on education and training as well as focusing on spreading and encouraging the adoption of national and regional measures by regional governments. In cooperation with the UN Office of the Special Adviser on the Prevention of Genocide, many different activities in Paraguay have taken place to disseminate these preventative practices. In preparation for the General Assembly interactive dialogue, on September 9, 2013, an event, Civil Society Perspectives: Building State Capacity to Prevent Atrocity Crimes , was held in New York City featuring civil society representatives who shared their experiences on engaging with governments to build domestic capacity for genocide and mass atrocity prevention. The event was co-organized byFriedrich-Ebert-Stiftung – New York Office, the International Coalition for the Responsibility to Protect, the Stanley Foundation, and AIPR. The Latin American Network and the regional approaches we are undertaking serve very much as a laboratory for seeing how we can give new impetus to domesticating mass atrocity prevention. Through our work at AIPR, we truly have learned that where the big task lies is in durable prevention with national governments. Galis also stressed the important contributions domestic NGOs make towards mass atrocity prevention. “We are trying to assist national governments as much as we can, but we can never do this without the assistance of national NGO work, namely, NGOs that exist in the field that deal with the different actual emergencies or long-term issues that societies face in terms of mass atrocity prevention,” he said. For documents related to the recent UN dialogue on R2P, including statements by member states, click here . 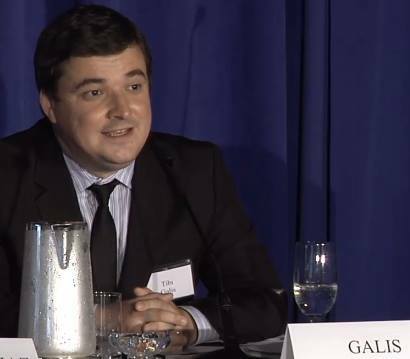 For a video of the panel discussion, “Country Cases of Prevention in Practice,” click here.